We had heard a rumour there was a new Naked palette on the horizon and had a sneaking suspicion it would be of the smoky variety. Obviously you can create a smoky eye from any of the existing palettes however these 12 shades are the more stereotypically smoky shades. The palette contains 9 brand new shades and 3 exclusive shades. 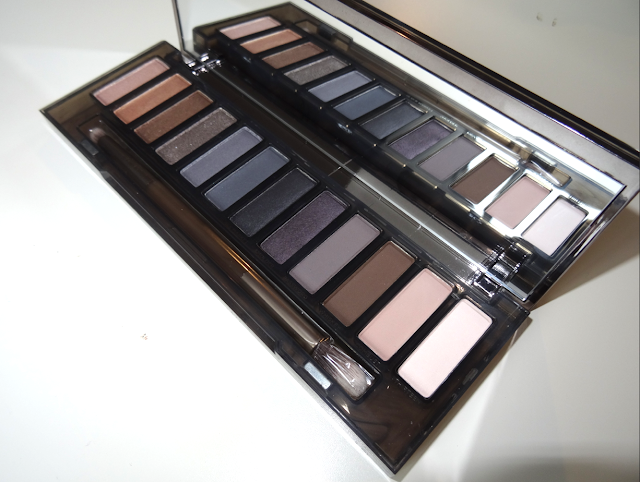 Includes a mix of matte, satins and shimmer shades. Sam has created a tutorial using the palette which will be live 24th July. Includes a duel ended synthetic brush. One end is a small, firm pencil brush which is great for using under the eye and increasing colour intensity. The other end is a long fluffy blending brush for a seamless blend. There is a good colour selection and mix of warm and cool tones. Colour pigment is good and each shade blends well. The darker colours, particularly those with the shimmer finish did drop on application. No more fall out than any of the other palettes but no improvement either we would say. 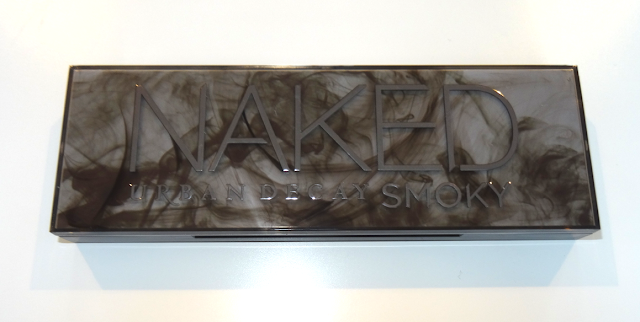 We would advise creating your smoky eye first and then clean up and apply your foundation second. I really like the fact there is a mix of warm and cool shades. If it was primarily cool toned I wouldn't be interested. I will be picking this up, but I might a little until after it's initial release. Lovely shades - can't wait to see some tutorials using this! Love these shades!! Thanks for sharing!! Isn't the palette just amazing? I love it! This is a MUST have! Currently ordering a new one as mine is almost all gone since I use it so much! Your blog is great, definitely a new fan. Keep the god stuff coming! If you ever want a guest post make sure you consider me please, would love to write a post for you blog. I am loving the look of this, I also just want it to complete my collection!